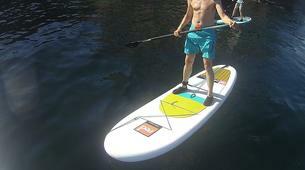 Glide over the water like a Polynesian or Hawaiian. 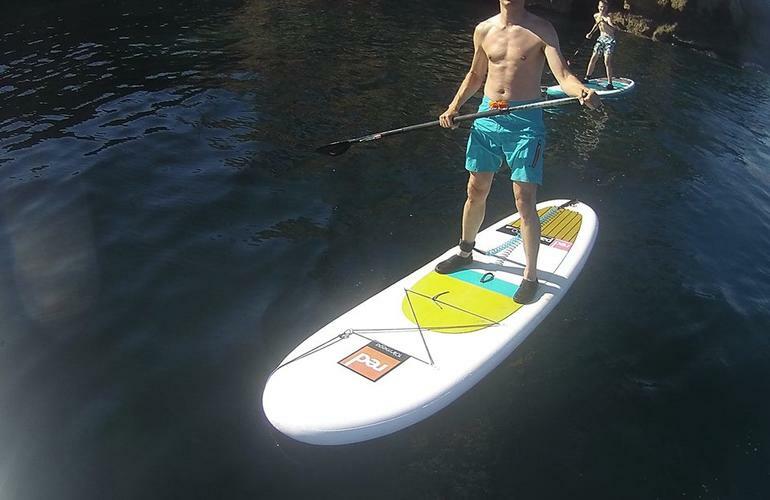 Lie down on the board, sit, kneel or try standing on it - with the stand up paddle you can surf, paddle or allow yourself to be drifted over the clear sea. 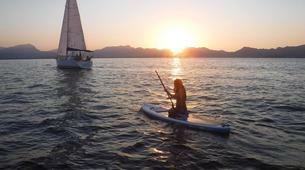 Stand up paddle boarders maintain an upright stance on their boards and use a paddle to propel themselves through the water. 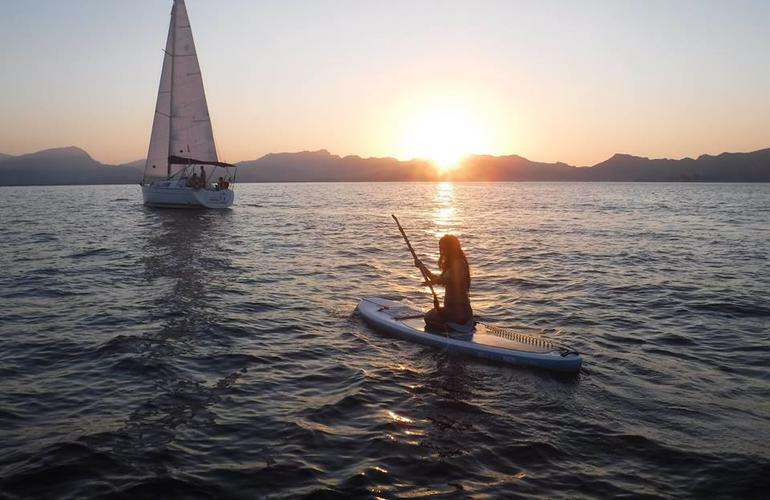 In the calm waters of Mallorca this is an easy thing to do. Join a group or go on your own, the fun is guaranteed! Explore hidden coast areas, which are normally inaccessible. With a mask you can easily view the underwater world from your board. 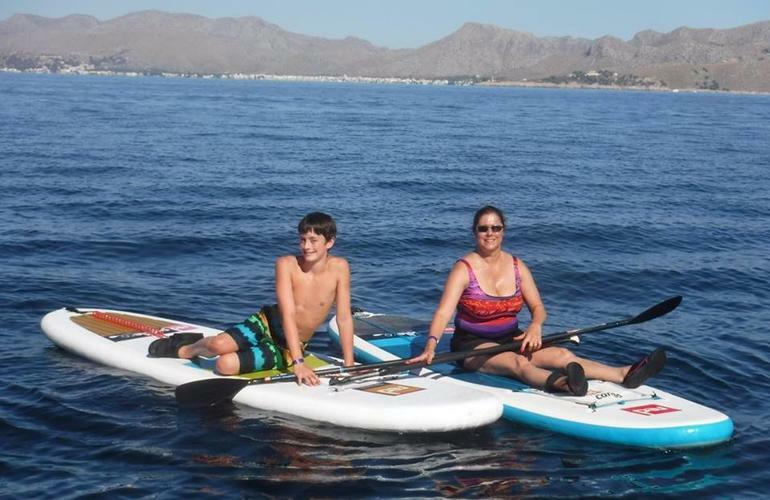 Stand up paddling can be carried out by people of all ages and does not require any special skills or physical conditions. 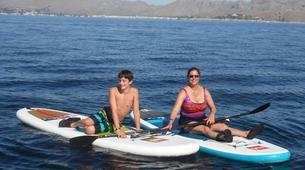 Regular SUP exercises can help to keep your body fit and healthy. If you are not familiar with this fun activity yet, Skualo Portocolom kindly invites you to a try-out session with one of their experienced instructors. This excursion will last between 2 to 3 hours, depending on the water and weather conditions. There is a possibility of Skualo Portocolom picking you up at your accommodation, depending on your location (closeness to the meeting point). This will need to be confirmed after your booking.